Hi guys. 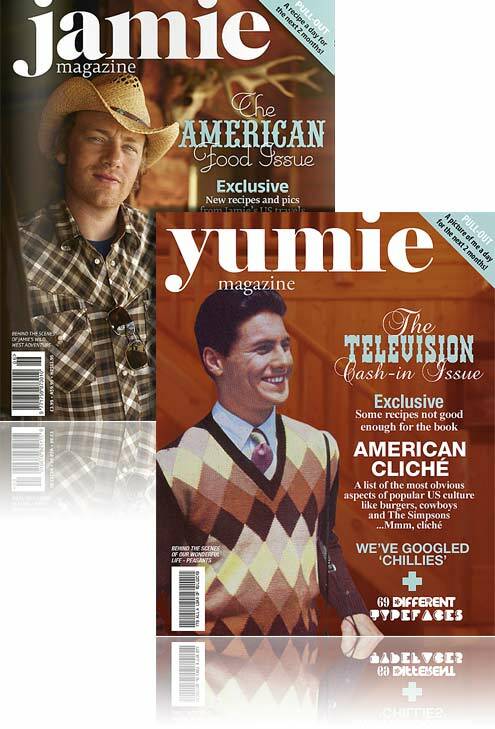 The new issue of Yumie Magazine trudges wearily over the well-trod ground of the US of A! 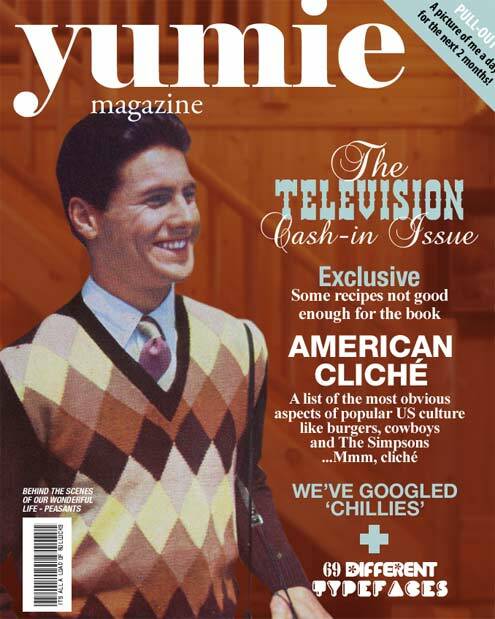 We’ve asked around the office, spent the morning on Google and flicked through a 20 year old edition of ‘Floyd’s American Pie’ to cobble together this lazy cliché-ridden feast of Americana. Some of these recipes have never been published (or cooked) before – great dishes like Kentucky Fried Oreo’s, Vittles and Grits en croute and Mom’s Apple Pizza. Then there are nutritional and healthy recipes from legendary US chefs such as Colonel Sanders, Ronald McDonald, Uncle Ben and new kid on the block, the Pillsbury Dough Boy. Once again, Jme copies our best ideas. The bare faced cheek of the man!